Nagaraj B is from Badinayakann Thanda village of Davangere district of Karnataka. There are four members in his family including father, mother, sister and himself. He discontinued hi schooling from 3 rd standard due to poverty and his parents sent him to work at that very young age of seven or eight. He was engaged in the farm work then onwards. Soon they moved to Chikamangauru to work in a coffee estate. In the coffee estate Nagaraj had to face a lot of difficulties like continuous work of long hours. For his luck Mr Durugesh, a staff from DBCLM found him and admitted to our centre for rehabilitation and education of the Child labourers. He wrote a competitive exam from the centre for availing free education at Morarji Desai Residential School and got through. He did his schooling from 6 th to 10 th there. He came out of class 10 in flying colours with distinction, scoring 543 (87%) marks. He did his Pre University Course in the Science Department of Dr. Thimareddy PU College, Davangere. He scored 576 (96%) marks in the final exams and wrote the entrance exam for MBBS wherein he scored 4000 rank. At present he is pursuing his MBBS studies in SSIMS & RRC, Davangere. 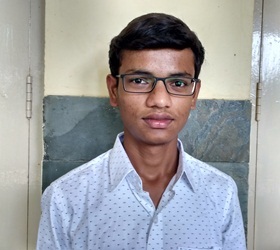 His desire is to become a doctor, who has a heart for the poor.